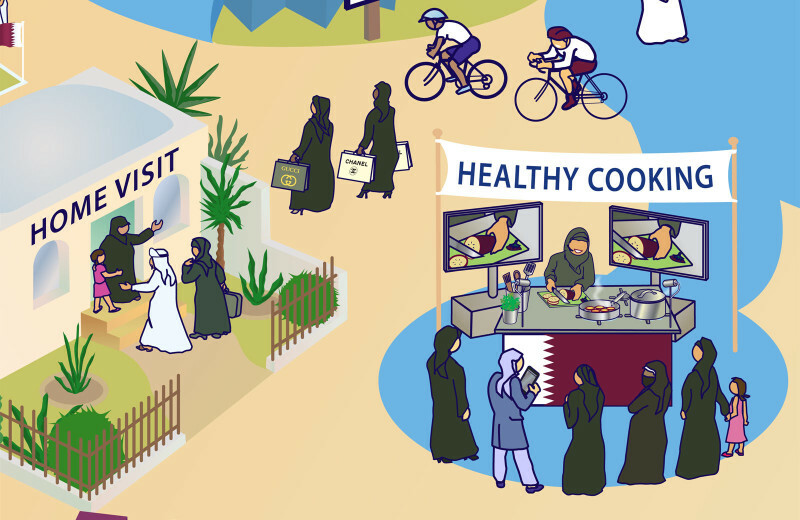 I have produced three Rich Pictures on behalf of Lord Darzi of Denham for the Qatar Healthcare system. This one covers Primary Care. 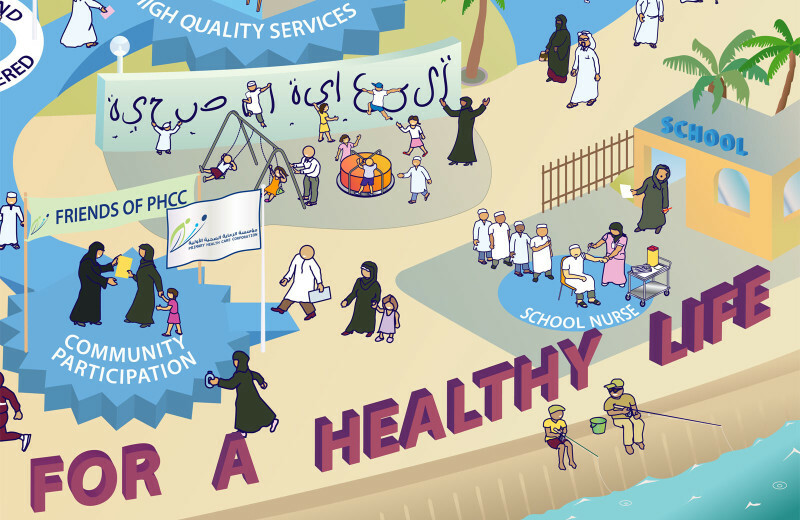 The Qatar health service is free at the point of use and funded by the Royal Family, through The Qatar Foundation and overseen by the Supreme Council for Health. In recent years there has been massive investment to bring care up to the levels of quality in the west. Lord Darzi was asked to contribute his wealth of experience and he asked me to provide the Rich Pictures. In addition to the usual health problems in developed nations Qatar also has high levels of Cancer related to smoking sheesha pipes. Also road traffic accidents are a problem with many young men having access to high powered sports cars. I have also done a picture for Secondary Healthcare and one for Urology.